Kansas returns for a homecoming show June 23rd at Taste of Joliet. IE Rewind flashes back to November, 2016 and our Q&A with Chicago native Ronnie Platt. For as long as he can remember, powerhouse vocalist Ronnie Platt was a passionate appreciator of the legendary progressive/classic/melodic rock band Kansas. In fact, the group’s original singer Steve Walsh helped shape his singing style, which was repeatedly demonstrated while fronting a lengthy list of area bands, such as a particularly fruitful run with west suburban based ARRA. Though Platt could frequently be found gigging all around Illinois throughout the last three decades, he did strike some national gold in 2007 by joining Shooting Star for a few years, including a festival gig where the group crossed paths with Journey, Sheryl Crow and Kansas (the latter of whom’s original members Rich Williams and Phil Ehart were especially complimentary to the sky-high singer). Come 2014, Walsh announced his retirement from Kansas and it turns out Platt’s casual concert connection with that very guitarist and drummer came in handy. He simply shot Williams a message asking to be tossed into the potential pool for replacements, got a phone call the very next day, followed by a face to face meeting with both veterans (more for personality compatibility rather an actual audition). Less than a week after the adventure began, the hopeful was given an official invitation to leave behind his day job of driving an 18-wheeler and join the world class band for the foreseeable future. From then until now, he’s not only logged more than 200 shows with Kansas, but was also a major motivating factor in its return to the recording studio after a 16-year hiatus. Although expectations were grand for the aforementioned members, longtime players Billy Greer (bass) and David Ragsdale (violin), plus fellow newcomers David Manion (keyboards) and Zak Rizvi (rhythm guitar), the resulting album The Prelude Implicit (Inside Out Music) is truly worth the wait. 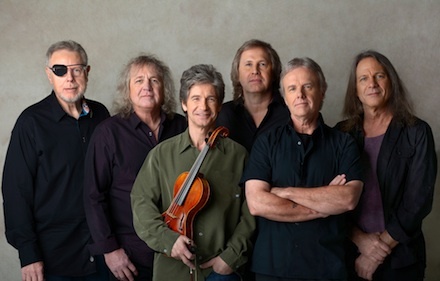 Here’s more from the extremely personable and down to earth Platt about the entire whirlwind in advance of a homecoming show at Taste of Joliet June 23, where Kansas will unveil new tunes in tandem with celebrating the 40th anniversary of the landmark Leftoverture album. 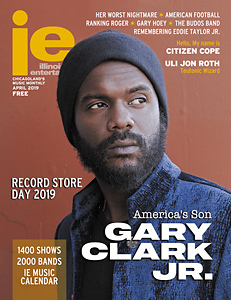 Illinois Entertainer: Was joining a major band always in the back of your mind or were you perfectly content with all the groups you’d been in locally? Ronnie Platt: Truthfully no. Maybe when you’re 10 years old and you’re fantasizing about being Mick Jagger or John Lennon, but coming from a musical family, I just fell in love with doing the music. I never really had the preconceived notion of “I’m going to be a rock star some day.” I just always enjoyed singing, and whether it’s in front of 10 people or 10,000, I just want to be better than my last show. One thing I will say is from the age of probably 14, I have never been without a band. At one point when I was in ARRA in the mid ‘90s, I was in four bands at once. I just couldn’t get enough, but I didn’t have the preconceived goal of “wow, I’m going to be the lead singer of Kansas or Boston or Journey.” I never ever had that mindset…I’ve always been persistent in singing, being in a band and wanting to be a better musician and I can’t complain to where it’s got me at this point. IE: Do you feel like you’re officially a Kansas member now or are you still pinching yourself? RP: Knowing that there’s a Kansas album [that just] released that I’m not only singing and performing on, but one where I had a major part in lyric writing, oh boy, I’m pinching myself until I’m black and blue! But the other aspect of that is it’s been two-and-a-half years now since I’ve gotten the call. It’s gone by like the blink of an eye and I can’t believe I’m at 200 shows already with this band, but I feel like I’m part of the Kansas family now, you know? And it is a family. When we play around the Kansas City area, (original guitarist/keyboard player) Kerry Livgren joins us and will play a song or two on stage with us. (Original violin player/co-vocalist) Robby Steinhardt has been on stage with us a few times. We see (original bassist) Dave Hope a couple of times every now and then and then Budd Carr, Kansas’ old manager, has been out a couple of times. And I’ve talked to (second singer) John Elefante a few times. We have a close mutual friend in Mr. Kevin Chalfant (The Storm, 707, Two Fires) and John’s just been so supportive and very complimentary. It really is a big family and now I really do feel like part of that family. It’s a great feeling. IE: Why did it take so long to get Kansas back in the studio? RP: I just think that they had a couple of members that were just tapped out creatively. Nothing against Steve – you gotta give Steve an endurance award for being with the band for 40 years on and off- but I understand when you do something for such a long time that you’re enthusiasm might not be there like it was at first. But that only brings me to throwing kudos to Phil and Rich, who after doing this for 43 years, still have a desire to ambitiously want to add to such an amazing library of music. The rest of us are thanking them for it that’s for sure, especially myself and Dave Manion, who came on at the same time as me and I affectionately call “Mr. Lightning Fingers,” and then of course Zak Rizvi, who’s an amazing guitar player, writer and producer. IE: Did you personally feel any pressure going into the sessions since they were your first with Kansas? RP: Imagine what’s in the back of my mind thinking “okay, I’m writing lyrics for a band Kerry Livgren wrote lyrics for.” No pressure there! (laughter). I was in the studio and I was about to cut my first vocal track and Phil walks into the studio room, puts his hand on my shoulder and says “now look, I want you to relax, I want you to enjoy yourself and have fun with this. Do the best job you can and just totally put out of your mind that 2.1 million Kansas fans are waiting for this right now.” Gee, thanks Phil! IE: Besides making up for lost time, Kansas also has a history as widespread as its progressive origins to the MTV-era. To what extent did you try to incorporate all of those elements while still crafting the record you guys wanted to make? RP: I really feel like we hit the target on all those marks. Take “The Voyage Of Eight Eighteen,” which is an intense multi-part, multi-dynamic song that is just the stereotypical, classic Kansas song. It has so many parts and is the epitome of prog rock. There are a couple songs like that, but then you’ve got a couple songs that are almost heavy metal guitar-sounding, then you’ve got a couple darker, more moody songs that have very intense subjects. Then you’ve got what I consider radio-friendly songs, like “The Unsung Heroes” or “With This Heart.” This album has many dimensions and it’s reflective of all the different phases that Kansas has gone through. But on the flipside of that, it’s not like we really had that focus when we were writing these songs. It just happened to turn out that way. When you have the insane talent of the members of this band combined with having pent up creativity for years and years, each song starts to take on a life of its own and it starts to build its own path, so it’s really amazing how many different avenues we’ve traveled with this record. IE: Did you intend to have a new record timed with the 40th anniversary of Leftoverture? RP: I don’t think so. I think it just happened that way. When David and I joined the band, I don’t think Phil and Rich even anticipated a new album, but they discovered the new enthusiasm and it became infectious. It just seemed to accidentally fall into place with Leftoverture celebrating its 40th anniversary, along with a new album. And boy, what a treat for Kansas fans to be able to incorporate everything into the new show. You’re gonna get a show that spans 43 years of Kansas, from the first album all the way up to The Prelude Implicit. Good timing for me don’t you think? IE: In your opinion, what are the elements that have allowed Leftoverture to endure for all these years?